How many times have you asked yourself "Should I be using a colon? a semicolon? or a comma?" when writing a text? Punctuation may convey the wrong message if not used properly, since it lets the readers know the intonation of the sentence and the writer's tone of voice. How should you overcome this confusing matter, you ask? That's where WhiteSmoke punctuation software comes into the picture. 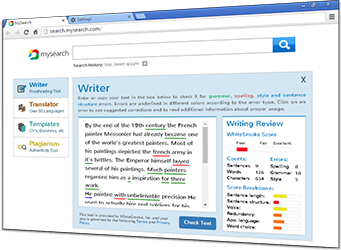 Based on Natural Language Processing, WhiteSmoke punctuation software edits and enhances your text. 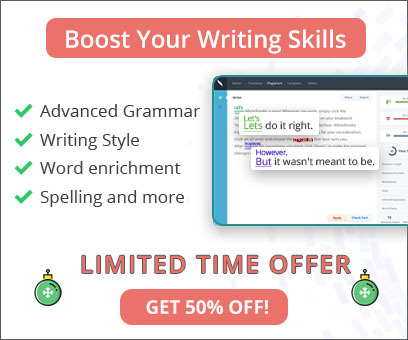 In addition to checking your punctuation, the WhiteSmoke punctuation software provides both spell checker and grammar checker, for a full text enhancement. Get Grammar Explanations - read explanation for grammar rules to understand how to correct your mistakes. Try our online punctuation package for free today, and assess the quality for yourself. There is more to WhiteSmoke punctuation software than checking for punctuation. The software also includes a translator, which translates from English to other languages and from other languages to English, and is a complete grammar software solution.